Happy Hamby Campers: Loo-k! Frogs! We've been very appreciative of the civilised comforts since returning to Louie's shack. There's a lot to be said for electricity, running water and flushing loos. 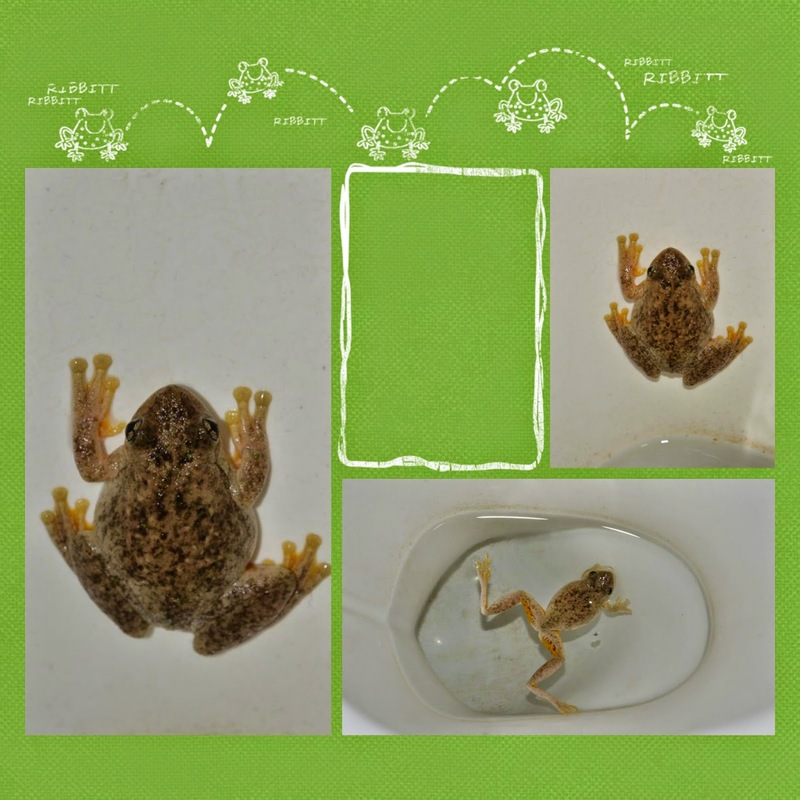 Of course, one of the drawbacks of a flushing toilet is that frogs like to swim in the loo water! There have been bathroom frogs throughout our stay but till now they've been quite small. We're not sure if the smaller guys had a growth spurt while we were in Innamincka or if larger fellows have moved in - but our toilet frogs are now much bigger and more disconcerting when we disturb them!